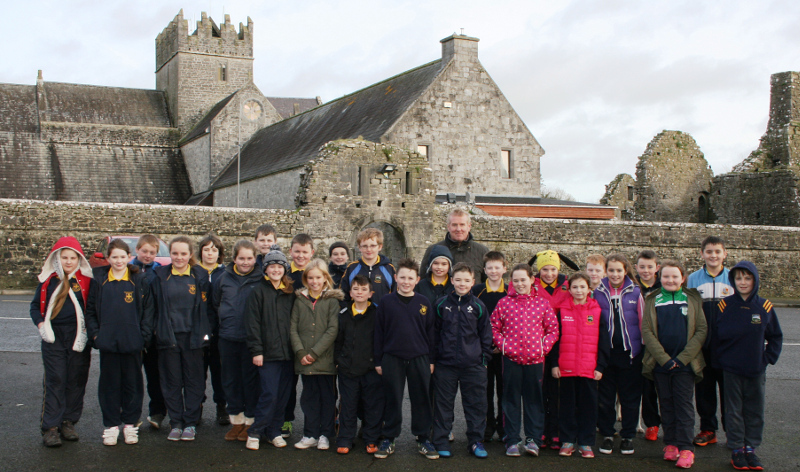 The Abbey is an outstanding Primary Source covering wonderful architecture, art, myth, legend and life in the past. 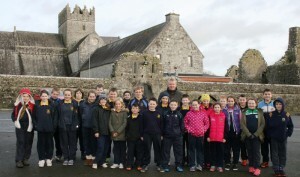 Key historical figures and events like Dónal Mór Ó Briain, The Butlers of Ormond, English Kings and Queens, The Desmond Rebellion, The War of the Two Kings, Hugh Ó Neill are connected with the story of the Abbey. There is a wealth of religious content, art and symbols here. A tour takes about one and a half hours in total. € 4 per student. There is a picnic area or a room available should the students bring a packed lunch. Times may change to adapt to any religious events taking place in the Abbey. See the Relic of the True Cross which gave Holycross its name. Listen to the story of ‘Ceall Uachtair Lámhann’. Learn about the layout of the Abbey. View the best preserved medieval cloister. See the only intact chapter house archway in Ireland. Imagine the monks descending the original 15th century night stairs. Admire the highpoint of Cistercian art on the waking bier. Marvel at the carvings on the Grave of the Good Woman’s Son. Hear the folk tale about the murdered prince. Hear about the oldest church bell in Ireland.